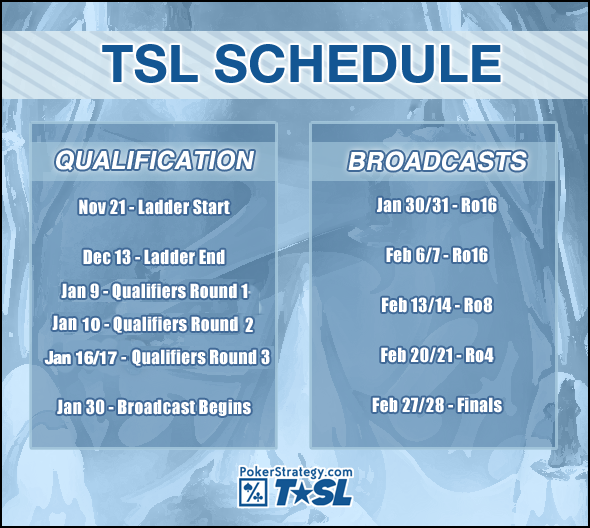 The qualifiers consists four stages: Ladder stage, TSL Qualifiers Round 1, TSL Qualifiers Round 2, and TSL Qualifiers Round 3. The Ladder stage is the first stage of the qualifiers and anyone can play in it. You do not have to be a member of an elite clan, or a recognized name, or even a great player, to join in during the ladder stage. During the ladder stage hundreds of players will fight it out in an open ladder style tournament. Players are free to play against anyone on the ICCup ladder, and play on any map they wish to. The players will move up and down the ladder depending on their rating which is calculated automatically by ICCup. For three weeks players can keep on trying to get into the top 48, until the ladder closes on the 13th of December. 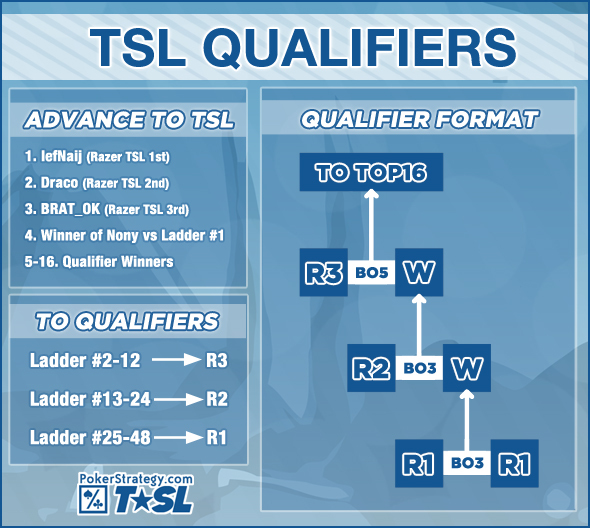 Once the ladder is closed, players may no longer continue playing, and the top 48 players on the ladder will move on to the next stage of the qualifiers, the TSL Qualifiers Round 1. 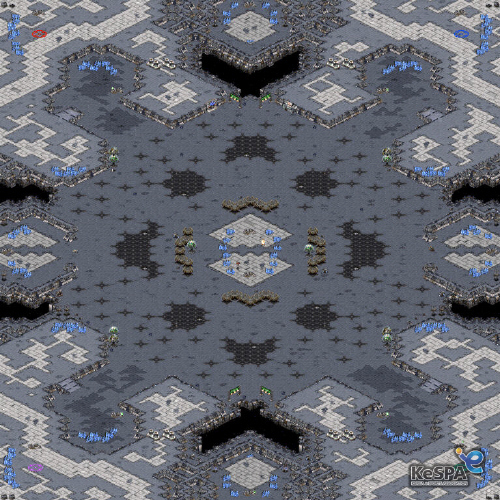 In the TSL Qualifiers Round 1, players ranked 25-48 on the ladder play against each other in a single elimination Bo3 match. The winner will go through to the TSL Qualifiers Round 2, while the losers will be eliminated. In round 2, the players who finished 13-24 in the ladder will play a Bo3 against the winners from Round 1, with the losers again being eliminated. In the third round of qualifiers those who finished 2-12 will play those who emerge victorious from the R1 and R2 of the groups. The #1 finisher on the ladder will play NonY in a bo5 for the chance to be directly seeded into the TSL, with the loser playing out in Round 3 of group A. Select Round 3 qualification matches were covered live on January 16/17. 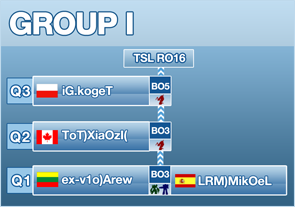 The TSL Ro16 will start in two weeks and will have regular broadcasts of the matches. mTw.HoRRoR advances to face LRM)KenZy. [Pan]CaStrO advances to face T.SQD)Kr. Avi-Love advances to face [Pan]KabaL. mTw.CloseR advances to face osR. KiLLeR. G5[Media] advances to face NrT.FlaF. mouz.Dreiven advances to face iG.Casper. eX-v1o)Gamtja advances to face iG.Tarson. EG.iNcontroL advances to face Shaman. mouz.GhosTa advances to face fOsc.Yan. mTw.iNfeRnaL advances to face ToT)Hayder(. mTw.HoRRoR advances to face Liquid`NonY. mouz.Kolll advances to face eX-v1o)MorroW. [Pan]CaStrO advances to face mouz.MaNa. [Pan]KabaL advances to face mouz.Strelok. mTw.CloseR advances to face mouz.White-Ra. NrT.FlaF advances to face Ret. iG.Casper advances to face RoX.KIS.Fenix. iG.Tarson advances to face mouz.Sziky. ToT)XiaOzI( advances to face iG.kogeT. Shaman advances to face ToT)Mondragon(. mouz.GhosTa advances to face DuskBin.Sen. 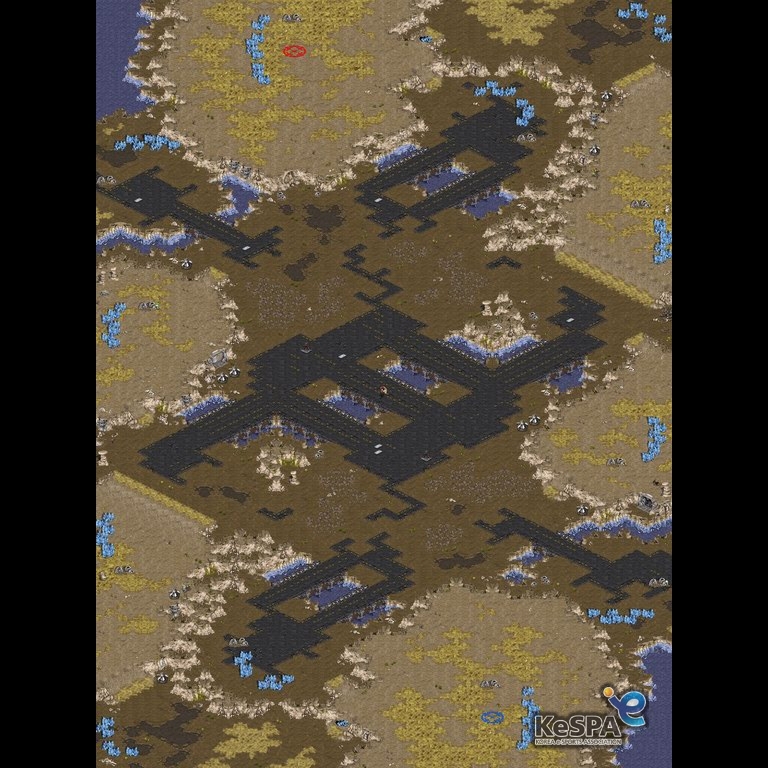 mTw.iNfeRnaL advances to face GosI[Terran]. 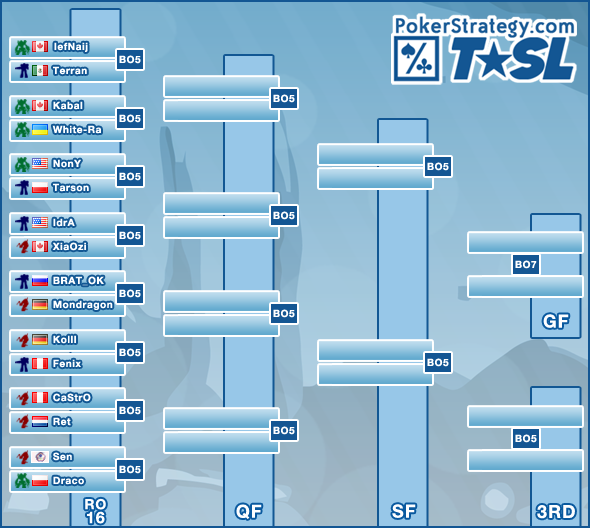 GosI[Terran] advances 3 - 1 to the PokerStrategy.com TSL! [Pan]CaStrO advances 3 - 0 to the PokerStrategy.com TSL! mouz.Kolll advances 3 - 1 to the PokerStrategy.com TSL! Liquid`NonY advances 3 - 0 to the PokerStrategy.com TSL! [Pan]KabaL advances 3 - 1 to the PokerStrategy.com TSL! mouz.White-Ra advances 3 - 2 to the PokerStrategy.com TSL! Ret advances 3 - 2 to the PokerStrategy.com TSL! mouz.Fenix advances 3 - 1 to the PokerStrategy.com TSL! iG.Tarson advances 3 - 2 to the PokerStrategy.com TSL! ToT)XiaOzI( advances 3 - 2 to the PokerStrategy.com TSL! ToT)Mondragon( advances 3 - 1 to the PokerStrategy.com TSL! DuskBin.Sen advances 3 - 1 to the PokerStrategy.com TSL! A collection of important links, anouncements, and all the interviews! Nice writeup. Kolll and Ret fighting! Awesome, I was hoping for one of these. I don't think posterity will care about R3 Day 1 and Day 2 though, so combining them will probably make the reading a little easier. Nice one. Might want to add a spoiler showing the final ladder standings too Fairly important part of the tournament I reckon. Have these pictures from the other thread been updated? very sick matches coming! all the best players. Im a bit new so im having a really hard time trying to find VODS or replays or something on the games played. Can someone help? will replays be released as well? Doubtfully. Usually the sponsor causes that to not happen. Ladder Replays of top48 will be released after the TSL ends. Replays from the actual Ro16 onwards (as well as the casted qualification round 3 matches) won't.